In writer/director Jeff Nichols’ interracial love story, Loving, we find two people who are in love and don’t see color in a world where your color determines your status in society. 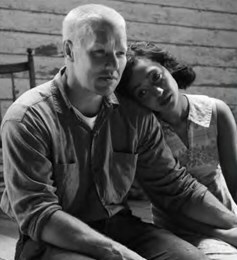 Growing up in Jim Crow-era Caroline County, Virginia, where the races mix freely, white construction worker Richard (played by Joel Edgerton) and black Mildred Loving (Ruth Negga) decide to get married. But, interracial marriage is outlawed in the state of Virginia, and they are arrested by the sheriff (Marton Csokas) for unlawful cohabitation. This leaves Mildred in jail for an entire weekend. Richard spends the same weekend trying whatever he can to get Mildred out of jail and figure out a way for them to be together. To show the ignorance of the law makers of the American South, the Lovings are forced to plead guilty just for falling in love with each other. In order to avoid the maximum five year prison sentence for unlawful cohabitation (which the Virginia lawmakers saw as an interracial married couple living in the same house), the Lovings move to Washington D.C. for an anticipated 25 years. It seemed palatable to Mildred until she realizes that she does not like city living and wants to go back to Virginia without having to worry about being arrested. Nominated for the Cannes Film Festival’s coveted Palm D’Or award, Loving seems to touch on the racism that is inherent throughout the American South and the consequences faced by people of color and the people who love them. It also highlights the ridiculousness of ignorant people who use the Holy Bible to justify their hatred. The people against the Lovings feel that God separated the races for a reason and they should remain separate. I guess they missed the New Testament where Jesus travelled all over the Mediterranean spreading the Gospel and adding disciples to his ministry. I really wanted to love Loving, but I kind of didn’t. The story isn’t as heart-warming and gut- wrenching like other African-American catered fare that has been released this year. Loving is no Birth of a Nation or Underground or Roots. Loving is a quiet little drama about the equally quiet people who spearheaded a much-needed change to the American Constitution. This makes the Lovings civil rights activists; a title that they would prefer to shy away from. Which brings me to performances. Negga, who clearly has acting talent because of her past and previous roles in Marvel’s Agents of S.H.I.E.L.D. and Preacher (respectively), brings the audience a really quiet and shy Mildred. She is almost too quiet in an already very quiet film. 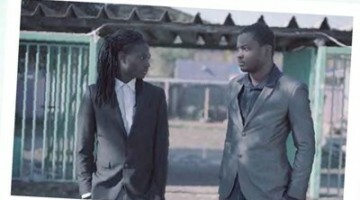 It’s understandable that Negga was going for a character that is soft-spoken and maddeningly shy, because the real Mildred was quite shy. But, this is still a movie and we, the audience, still want to be entertained. Conversely, Edgerton must have realized how to convey his reluctance in a more refined way. Richard is clearly very uncomfortable with being a civil rights activist. He just wants to be white and love his black wife. But, he’s not quite in the right age and time for that. So, he and his wife become a symbol of mixing and mingling and loving. Despite all of that, the film is still underwhelming. There doesn’t seem to be enough dramatic moments to sustain the film. Worse yet, it feels like Nichols manufactured some of the actual story to create some modicum of suspense. But, that “suspense” falls flat because of the muted performances. Loving is too simple when I wanted it to be complex. To know that the Lovings didn’t even want to attend the Supreme Court hearing of their case was a little disheartening and makes me feel like the better movie would have revolved around the Lovings and the attorneys, ACLU attorney Bernard Cohen (oddly cast comedy actor Nick Kroll) and civil rights attorney Phil Hirschkop (Jon Bass), who worked to overturn Virginia’s Racial Integrity Act of 1924. Quiet complaints aside, Loving is still a decent piece of art that deserves a look. With today’s society practicing color-blindness when it comes to relationships (romantic and friendship), Loving seems like a distant memory. But, it is a good reminder of how far we’ve come that just 49 years ago a good percentage of the United States’ citizens could not seal their bond considering in marriage. Given high divorce rates, it seems ridiculous to keep two people from marrying each other because of the color of their skin.